Lee Blessing’s play A Walk in the Woods was produced on Broadway and London's West End. His Off-Broadway productions include A Body of Water, Primary Stages; Going To St. Ives, Primary Stages (Outer Critic’s Circle Award, Best Play, Obie for ensemble performance); Thief River, Signature Theatre (Drama Desk nomination, Best Play); Cobb, Lucille Lortel Theatre (Drama Desk award, best ensemble); Chesapeake, New York Stage and Film at Second Stage; Eleemosynary, Manhattan Theatre Company and Down the Road, the Weissberger Group at the Atlantic Theatre. The Signature Theatre dedicated its 1992-93 season to his work, consisting of Fortinbras, Lake Street Extension, Two Rooms and the world premiere of Patient A. He has received nominations for Tony and Olivier awards, as well as the Pulitzer Prize. He heads the graduate playwriting program at Mason Gross School of the Arts, Rutgers University. 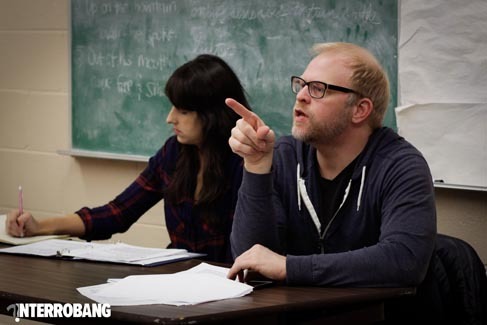 Richard David is ecstatic to be working on this project with Interrobang Theatre Company. He is a recent graduate from Roosevelt University with his BFA in Acting. His favorite theatre credits are: Every Tongue Confess with Horizon Theatre Company and Force Continuum with Eclipse Theatre. His favorite film credits are: Addicted To You and Unconditional. He is represented by Stewart Talent. Sarah has been a proud ITP company member since February 2015. She graduated from the University of Southern California (USC) with a BFA in Acting. She was previously seen in Interrobang's Fifth Season productions, Owners and Really Really. She is currently a company member with New American Folk Theatre (Chicago) and a member of Ensemble Studio Theatre (Los Angeles), with whom she won the LAWeekly Best Actress award for The Belle of Belfast in 2013. She can be seen at many film festivals around the country in the new film Halfway starring Quinton Aaron from The Blindside, which was awarded Best Feature at the Julian Dubuque International Film Festival. In February 2016, she performed the one-woman show The Amish Project with AtticRep in San Antonio, TX, and shortly after was invited to take the show to the Teatro Potlach FLIPT festival in Rome, Italy. 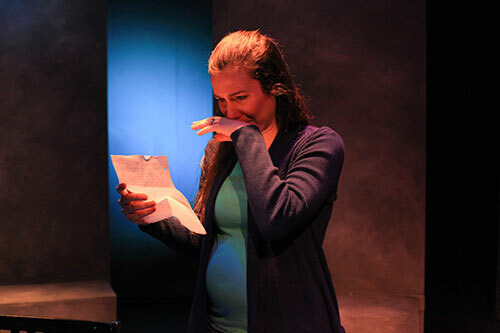 She was in the Midwest premiere of Still by Jen Silverman with Interrobang followed by the remount of AtticRep's The Amish Project by Jessica Dickey. Matthew is a proud Interrobang Theatre Project ensemble member and was last seen as Constantinople in STILL by Jen Silverman. Chicago credits include Shattered Globe Theatre, LiveWire Theatre Chicago, Chicago Dramatists, and Strawdog Theatre Company. Matthew has also assistant directed productions with Interrobang, Aston Rep, Livewire and Redtwist theatres. 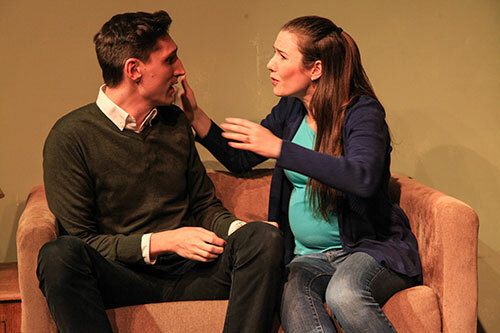 He holds a BFA in Theatre Performance from the University at Buffalo. For my father. Josh Zagoren is an Emerson College Conservatory Graduate from Clive, Iowa who has worked in Chicago and LA over the last twelve years. He has worked with Steppenwolf, Babes with Blades, the Factory Theatre, and played that naked guy on Chicago Fire. 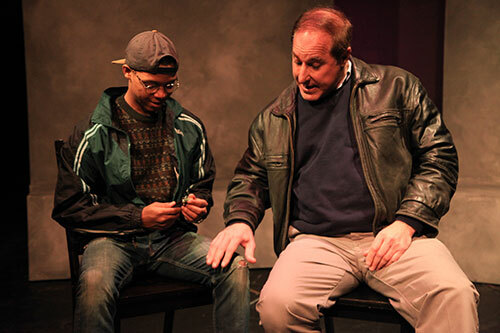 A voice actor in Chicago by day (he’s the guy from the thing… no not that thing, the thing with the… yeah that thing) and by night, the Artistic Director of Wildclaw Theater, bringing the world of horror to the stage. And every Saturday at 3pm you can catch him as Chad the Bird at the Paper Machete at the Green Mill Lounge. Thanks to Interrobang for taking a chance on him despite all of this. 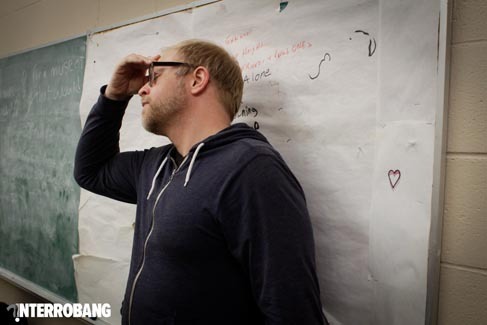 James Yost is the co-artistic director of Interrobang Theatre Project and previously served as the producing artistic director for BareBones Theatre Group, a company he co-founded in 1998. Selected credits include: Mr. Marmalade, Psycho Beach Party, Debbie Does Dallas: The Musical, The Graduate, The Play About the Baby, A Midsummer Night’s Dream, Drift, Ugly Art, bash; the latter-day plays, Squirrels, The Wizard of Oz, Lend Me A Tenor, Orson's Shadow, Glengarry Glen Ross, The Pitchfork Disney and Noises Off. 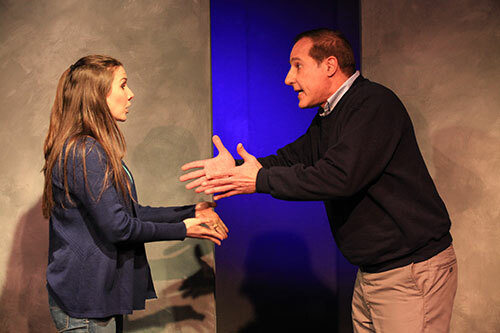 For ITP, credits include Orange Flower Water (Jeff nomination for Best Supporting Actor, Joseph Wiens), Ibsen is Dead, The North Pool and last season's critically acclaimed REALLY REALLY (named one of the best shows of 2015 by the Chicago Tribune). 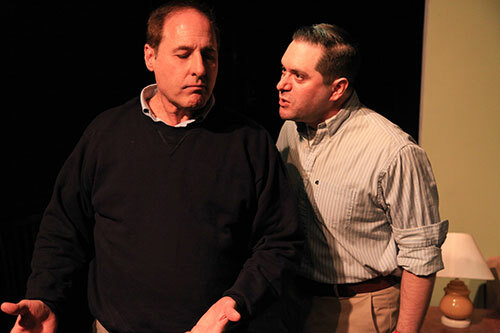 Yost recently directed True West by Sam Shepard for Shattered Globe. 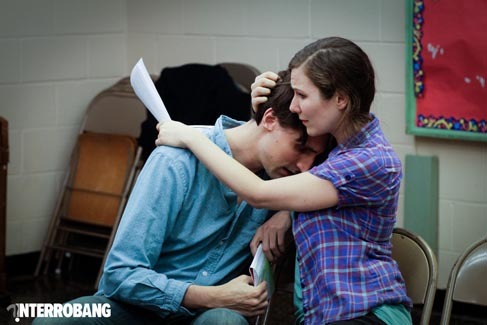 This summer he is directing Boeing Boeing for Davidson College. 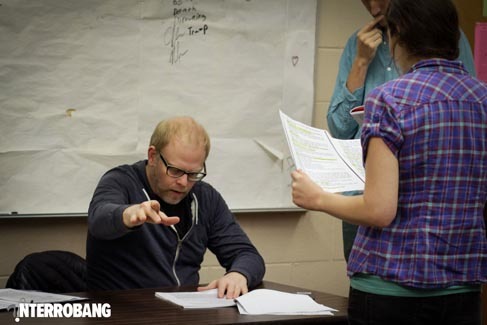 He teaches acting, directing, production design and film at the high school and collegiate level. He is published in Teaching Theatre Journal, a publication of Dramatics Magazine. Along with working for Interrobang and being a freelance director, Georgette is also the founding theatre teacher at Polaris Charter Academy, an Expeditionary Learning School in West Humboldt Park. She directed last season's KATRINA: MOTHER-IN-LAW of 'EM ALL and Jeff Recommended RECENT TRAGIC EVENTS, as well as this season's production of the 2013 Yale Drama Series Winner STILL. This spring she'll be directing Donald Margulies' TIME STANDS STILL for Aston Rep. Georgette holds a Masters in Directing from Roosevelt University and a B.A. in Theatre Performance from McNeese State University in Lake Charles, LA. Sarah has been a proud ITP company member since February 2015. She graduated from the University of Southern California (USC) with a BFA in Acting. She was previously seen in Interrobang's Fifth Season productions, Owners and Really Really. She is currently a company member with New American Folk Theatre (Chicago) and a member of Ensemble Studio Theatre (Los Angeles), with whom she won the LAWeekly Best Actress award for The Belle of Belfast in 2013. She can be seen at many film festivals around the country in the new film Halfway starring Quinton Aaron from The Blindside, which was awarded Best Feature at the Julian Dubuque International Film Festival. In February 2016, she performed the one-woman show The Amish Project with AtticRep in San Antonio, TX, and shortly after was invited to take the show to the Teatro Potlach FLIPT festival in Rome, Italy. 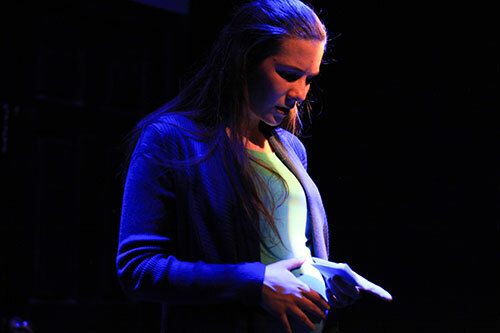 She performing in the Midwest premiere of Still by Jen Silverman with Interrobang, followed by the remount of AtticRep's The Amish Project by Jessica Dickey. Originally from South Bend, Indiana, and relocated to beautiful Chicago, Christopher graduated from Indiana University with a B.A. in Theatre & Drama, and studied abroad with The Gaiety School of Acting in Dublin, Ireland. Recent credits include Interrobang Theatre Project's Season Seven productions Still and The Amish Project, and all Season Six productions as House Manager, Marketing, and Social Media. He was House Manager for the fifth season's Owners and Really Really and contributed to past productions of Orange Flower Water as Production Assistant, and Terminus, The Pitchfork Disney, and Ibsen is Dead as Assistant Stage Manager. Zoë provides creative direction for all ITP print and digital marketing, while working as a freelance graphic designer and practitioner of Thai bodywork and trigger point therapy. Zoë has also worked as scenic designer/carpenter, costume designer and muralist on all main stage productions at Polaris Charter Academy since 2011. Her most recent designs include costumes and backdrop for the Academy’s Wiley and the Hairy Man and publicity for Interrobang’s Season Six: Unnatural Disasters. Zoë has a BA in Studio Art from Carleton College, with concentrations in ceramics and photography. Zoë is delighted to be collaborating with Social Media Marketing Guru, Christopher Knarr on publicity for Season Seven’s Flesh & Blood series, and with Ed Anderson on ITP's website.